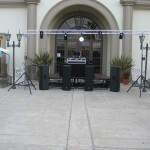 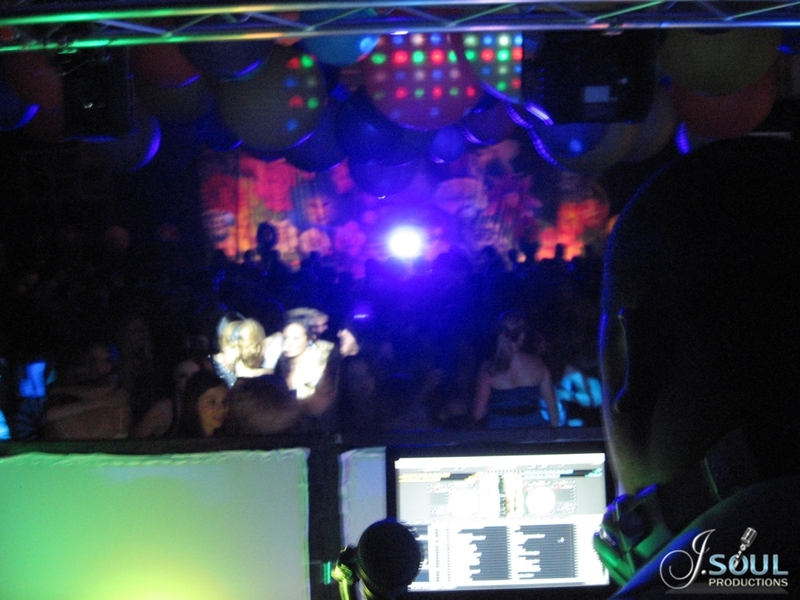 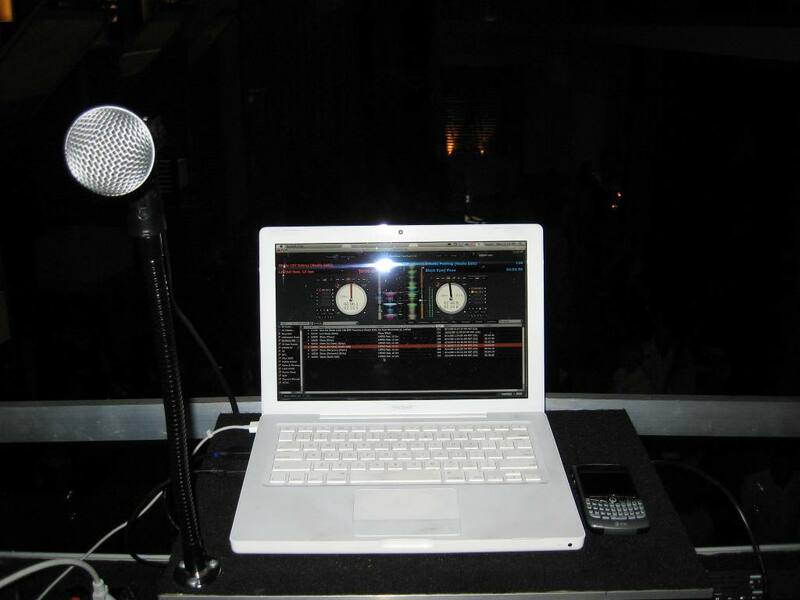 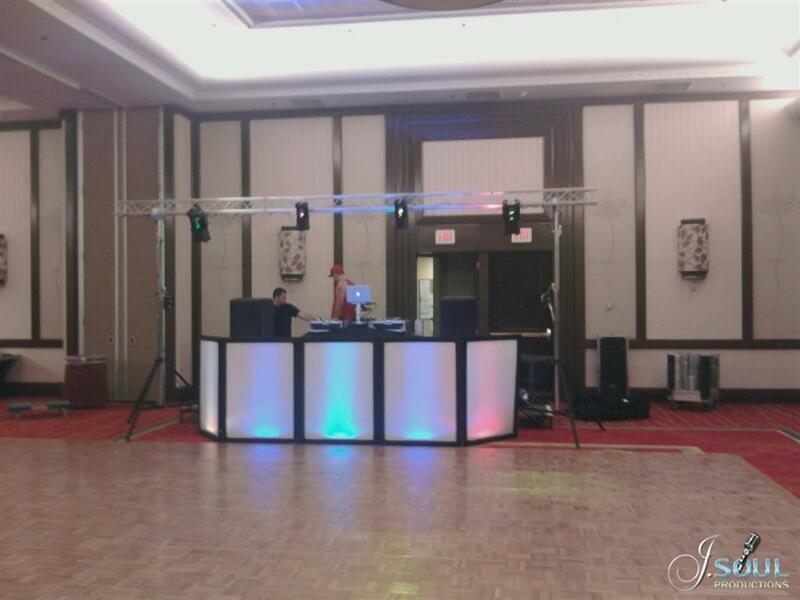 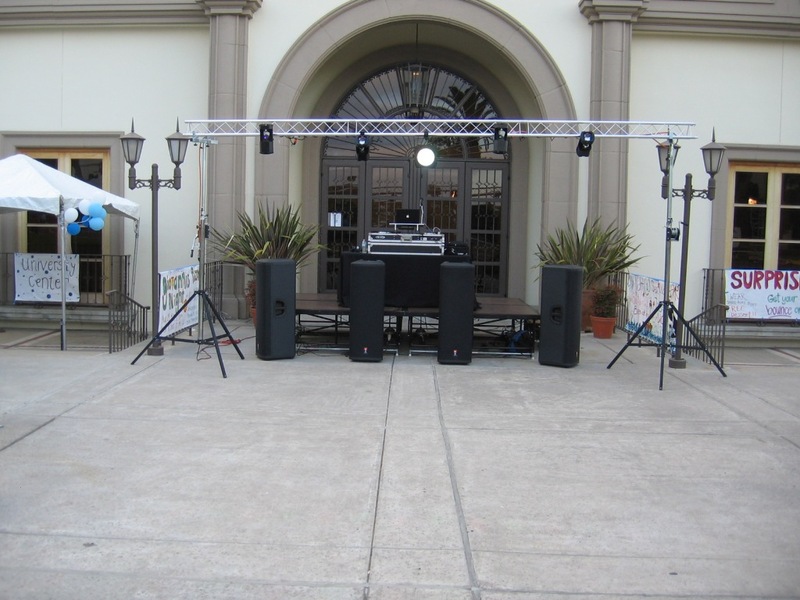 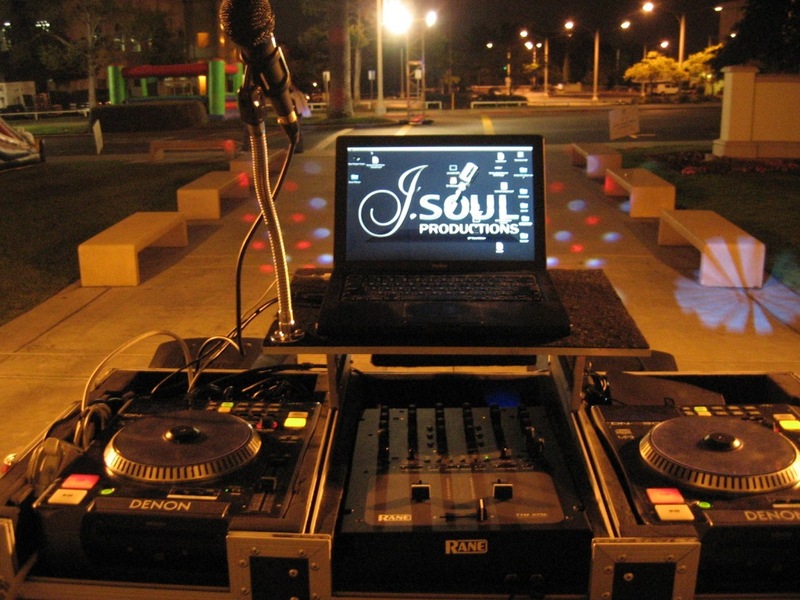 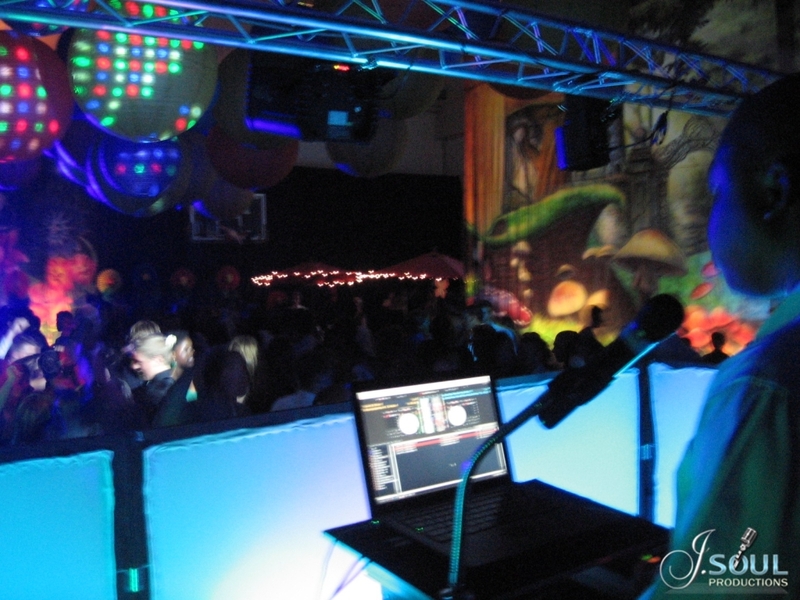 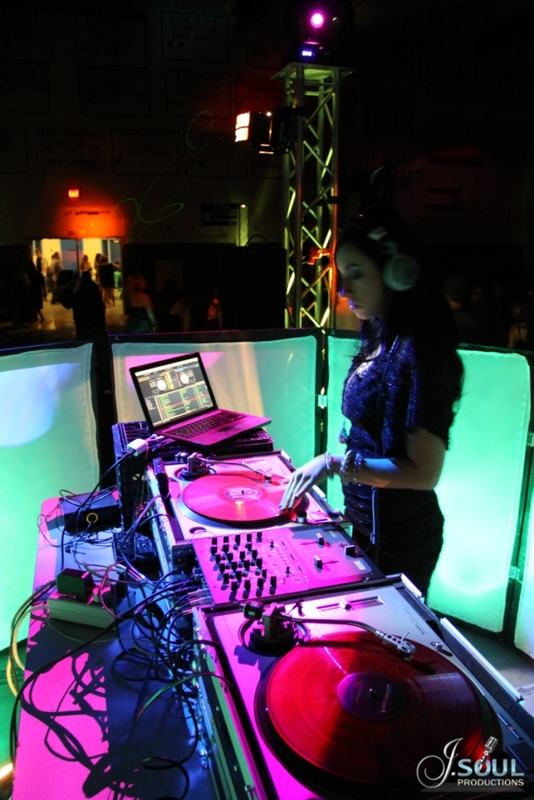 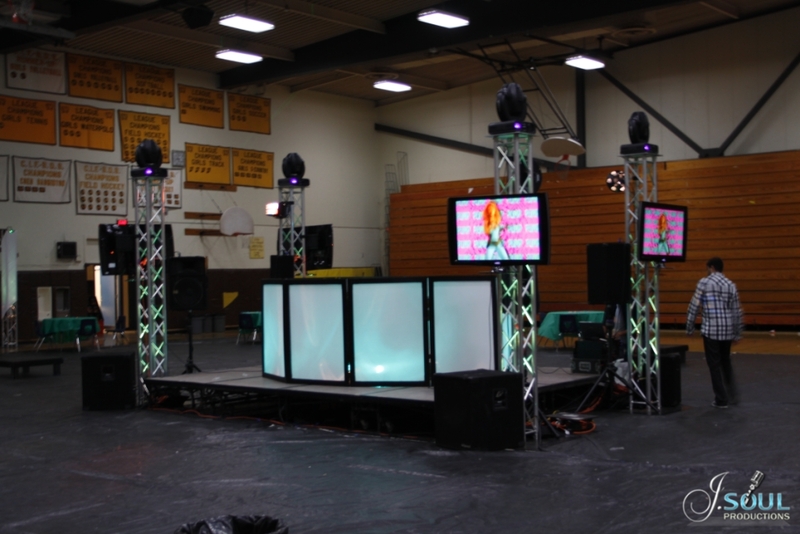 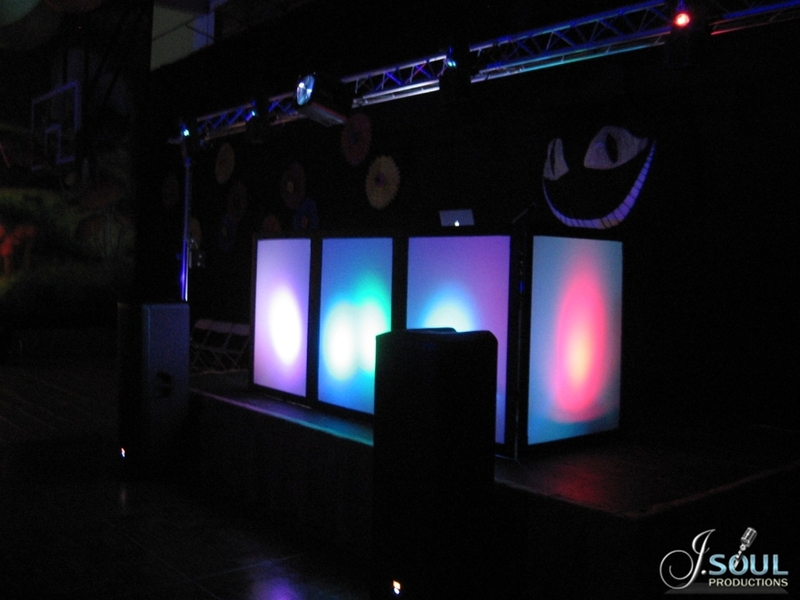 We pride ourselves on staying equipped with the industry standard DJ software and sound systems capable of handling small and large crowds alike. 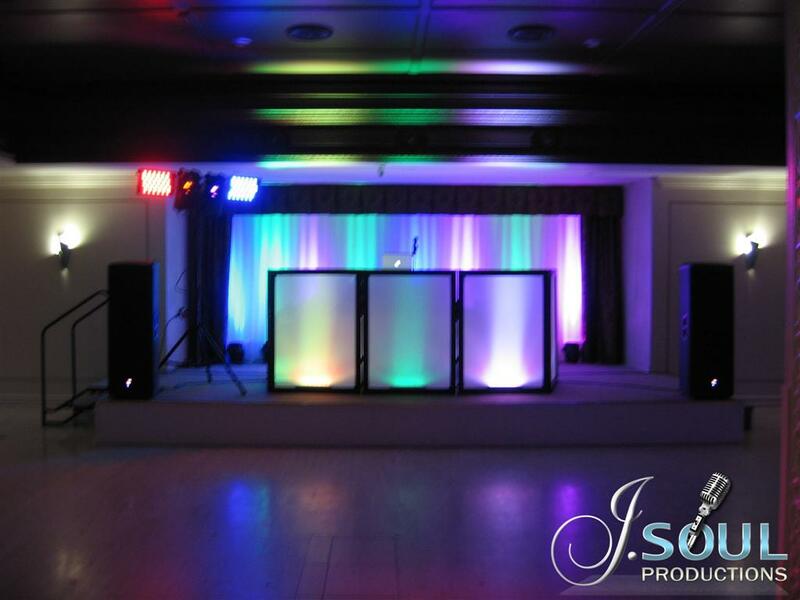 Our DJ software and extensive music library allows us to have instant access to over 500,000 songs, ensuring that no matter what song is requested, we have it. 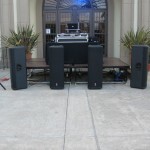 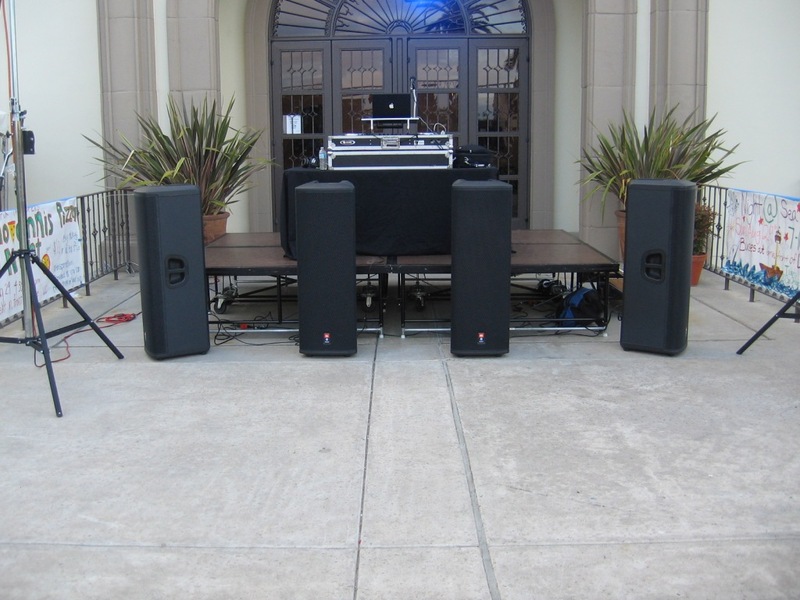 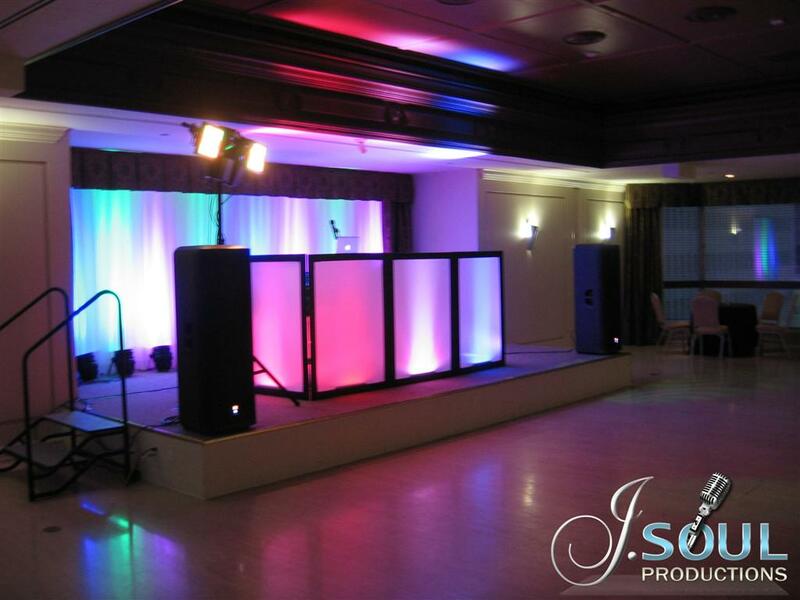 Our sound systems are capable of providing ample sound coverage for your event whether it’s held in a small hotel ballroom or a large convention center. 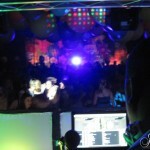 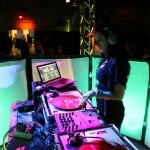 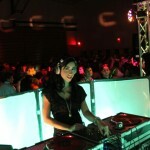 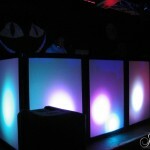 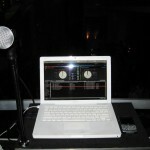 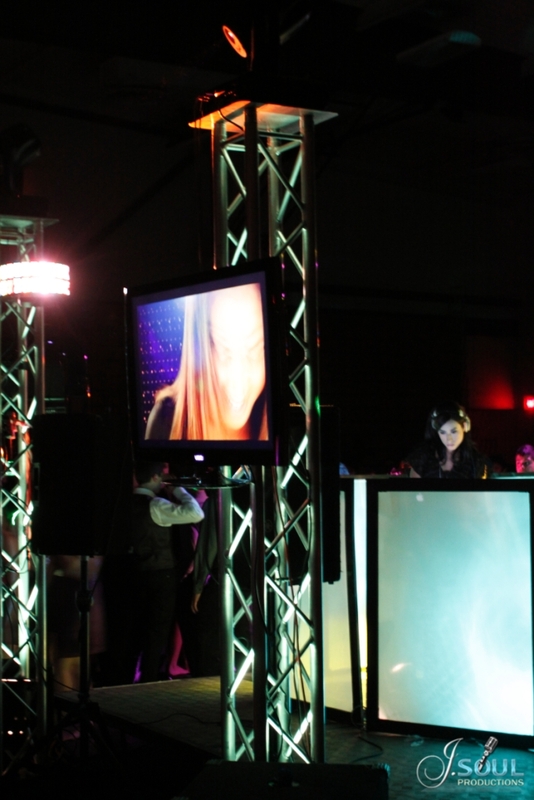 Creating an exciting atmosphere on the dance floor is not just limited to the music. 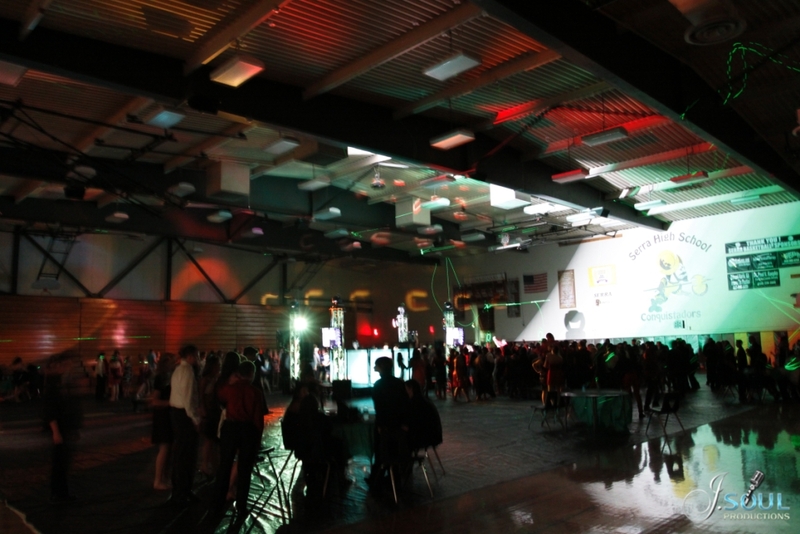 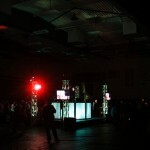 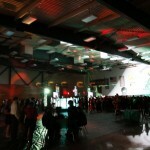 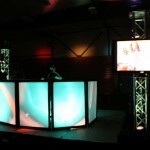 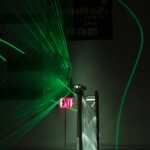 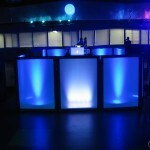 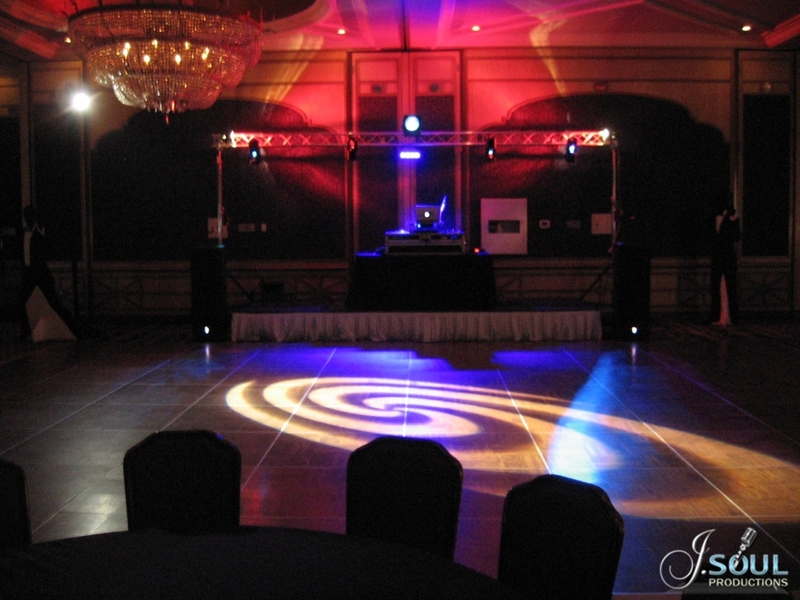 Our dance floor and ambient lighting adds an appealing visual element to your event. 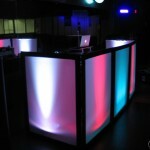 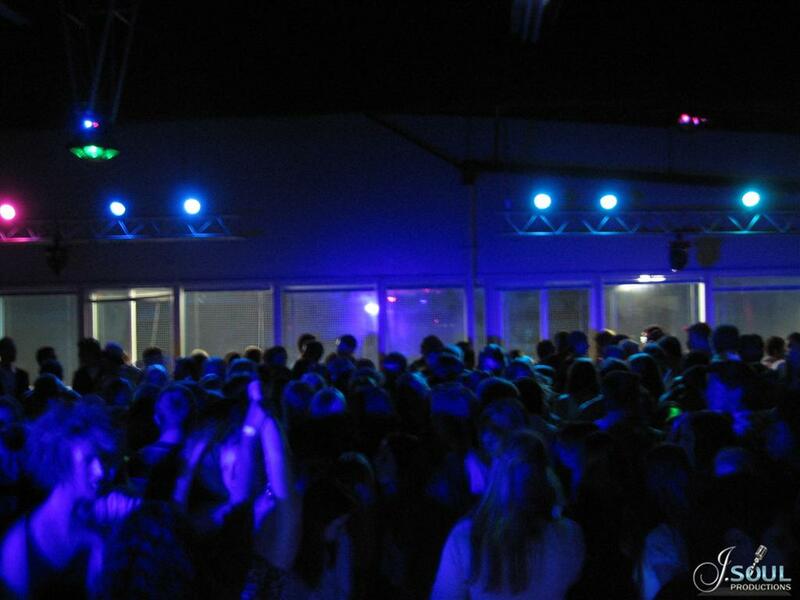 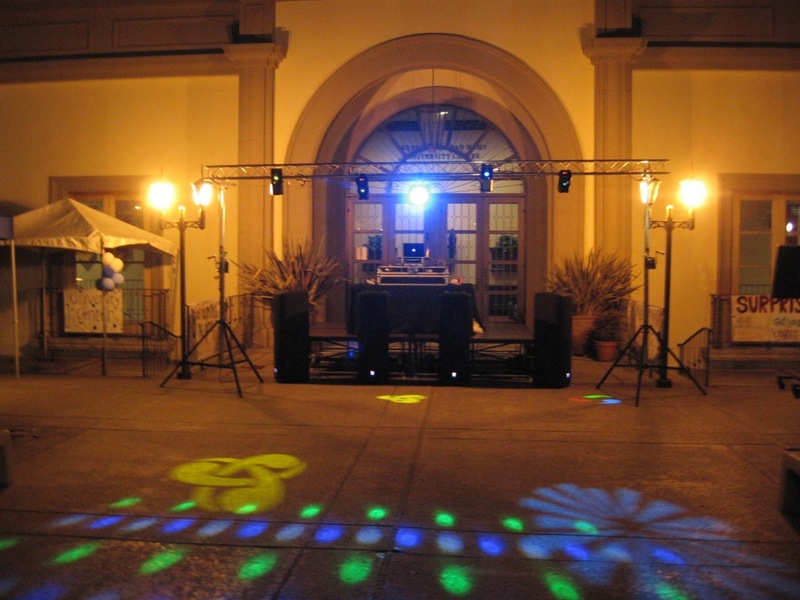 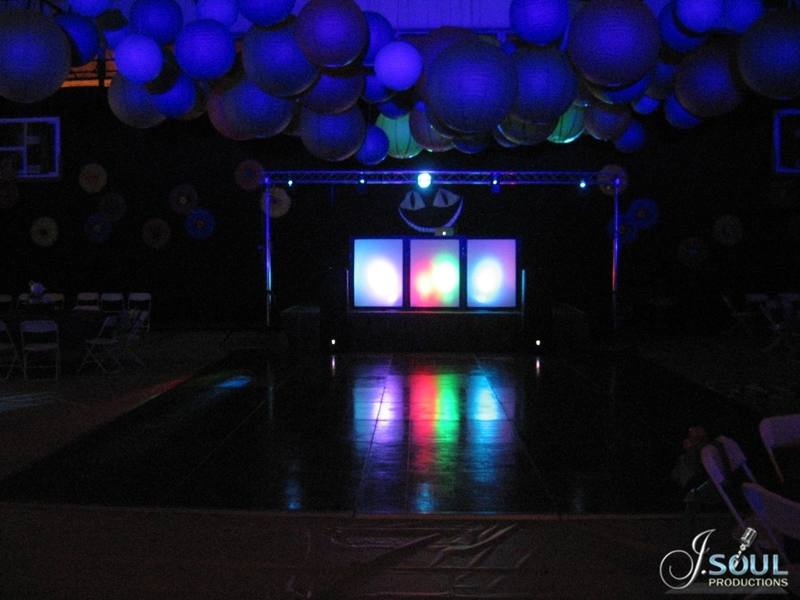 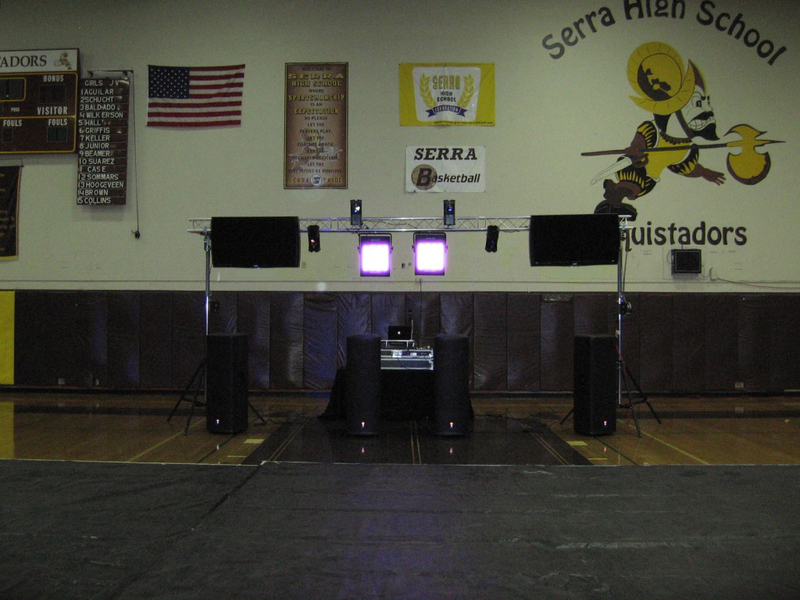 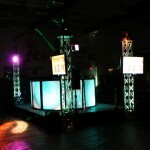 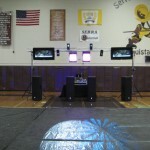 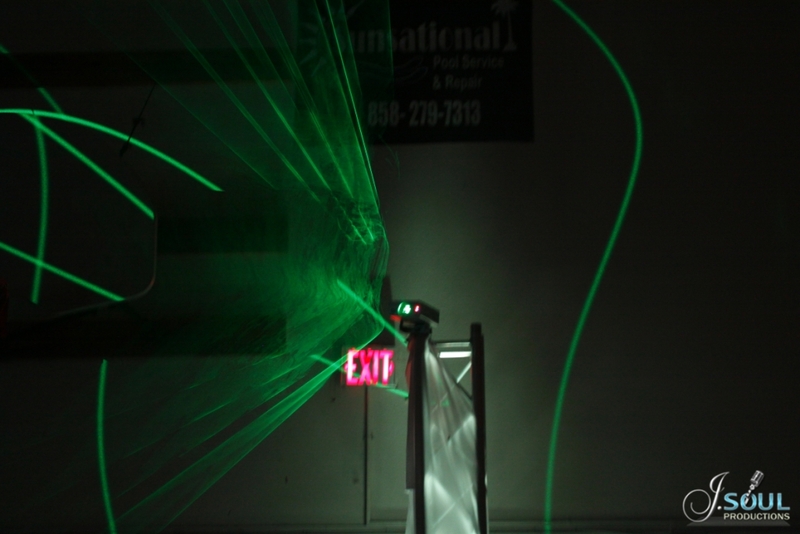 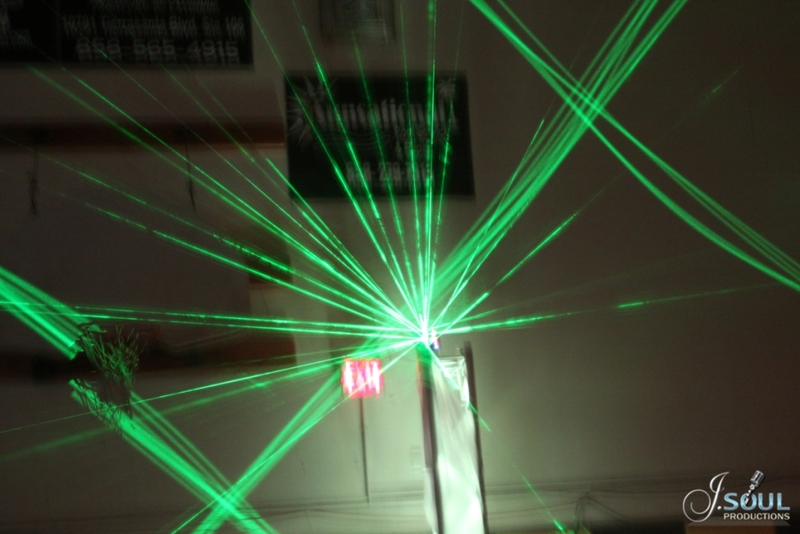 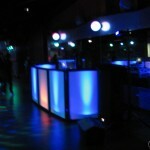 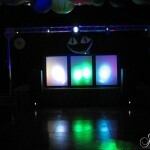 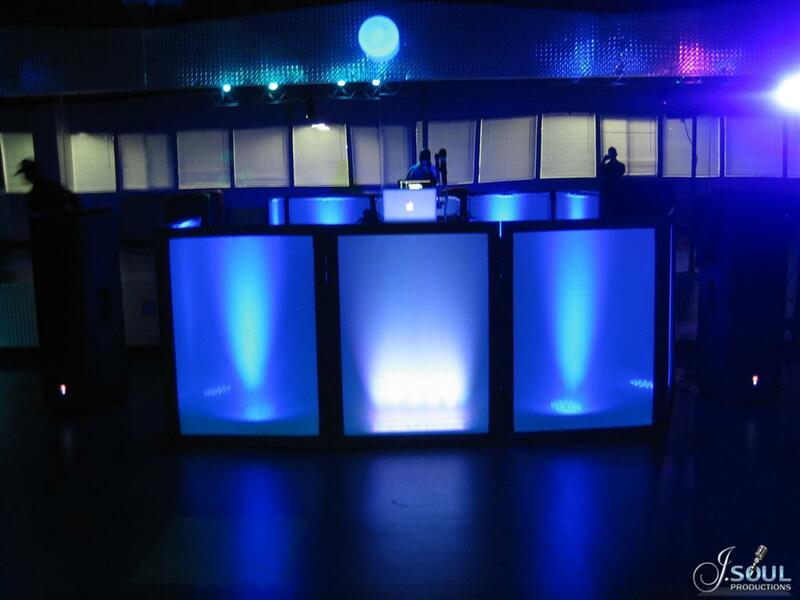 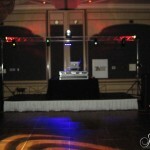 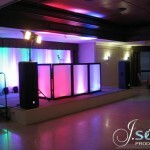 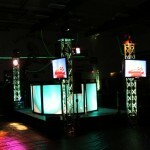 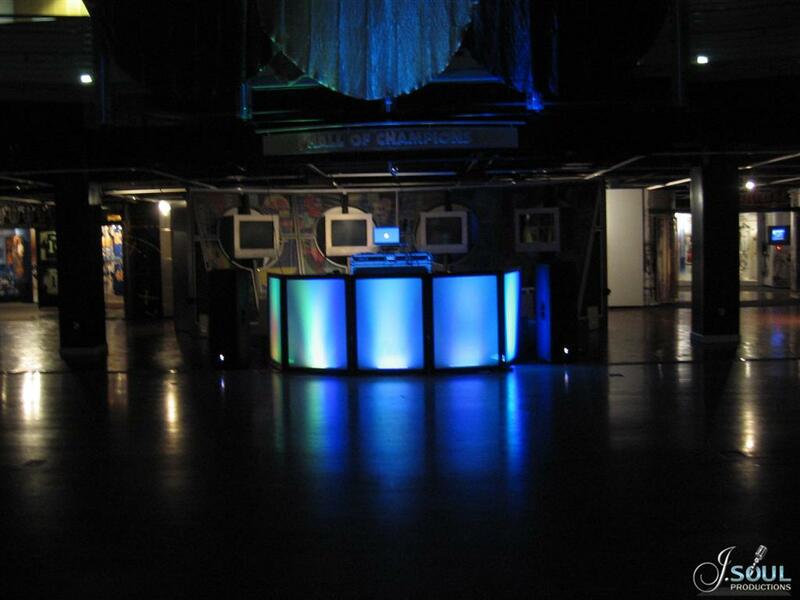 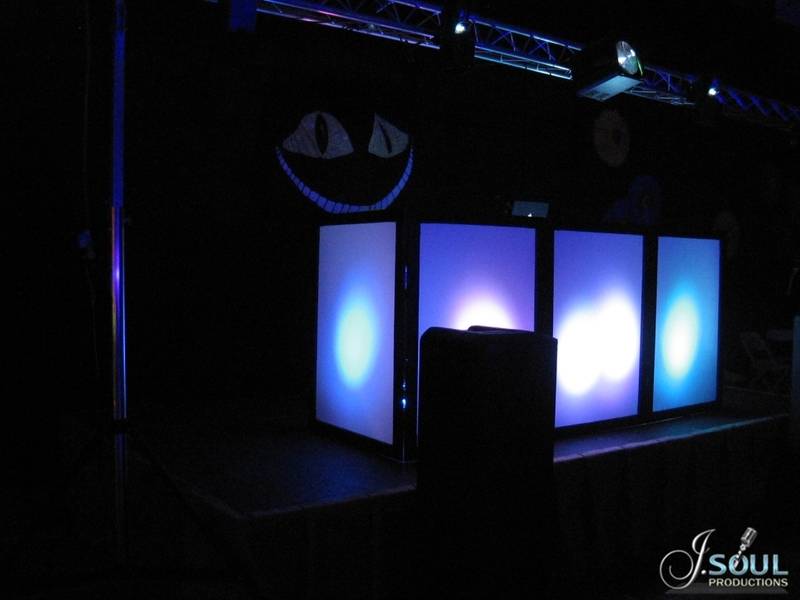 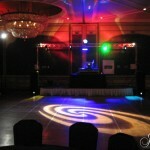 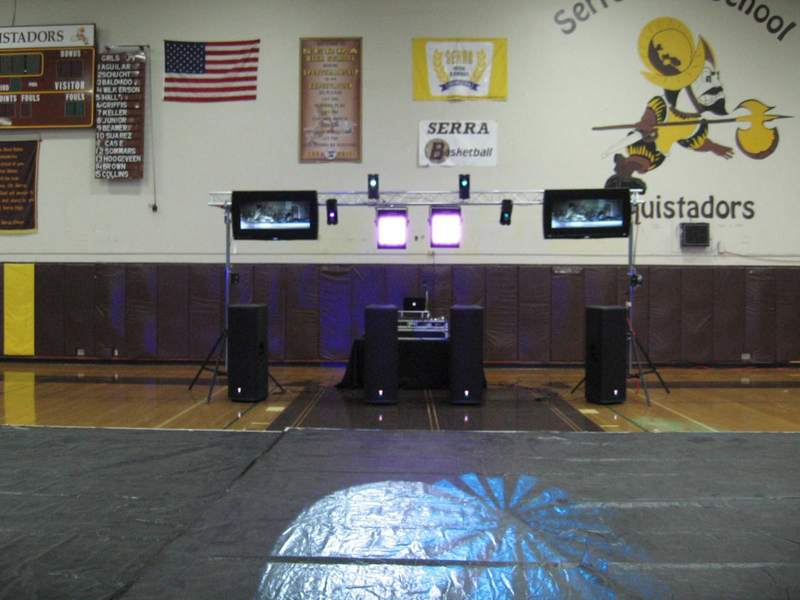 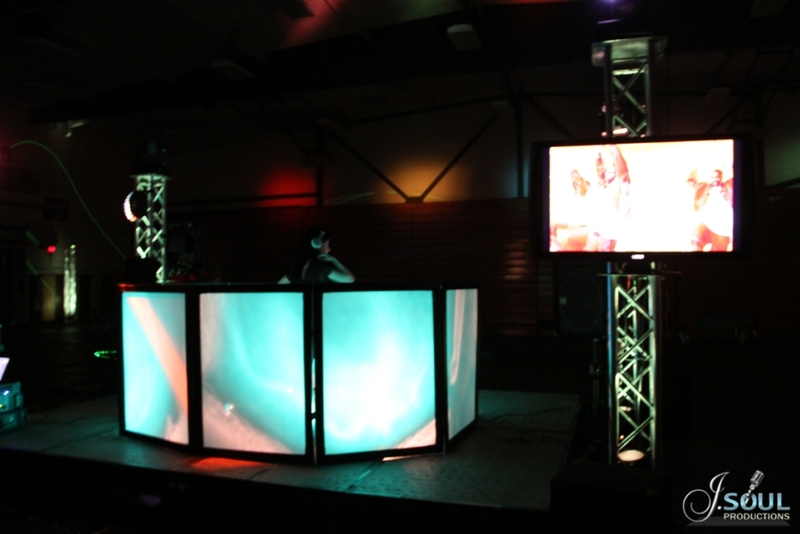 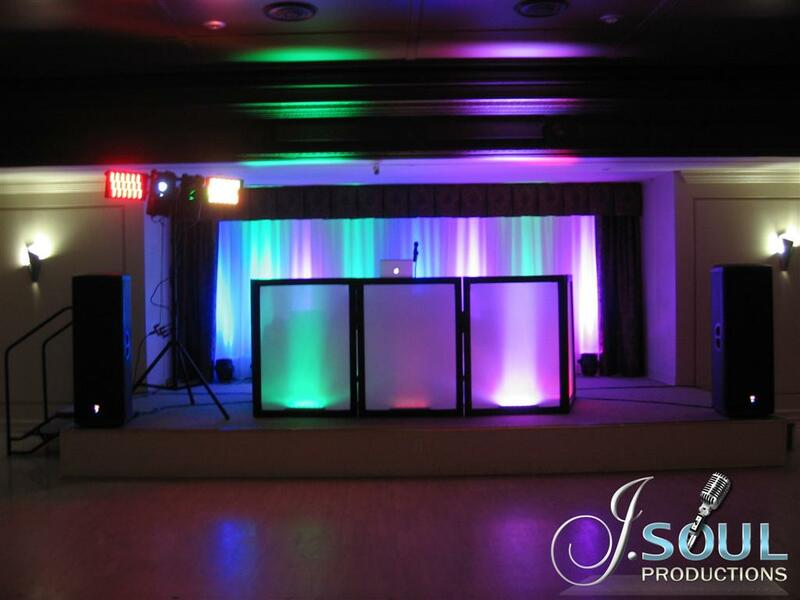 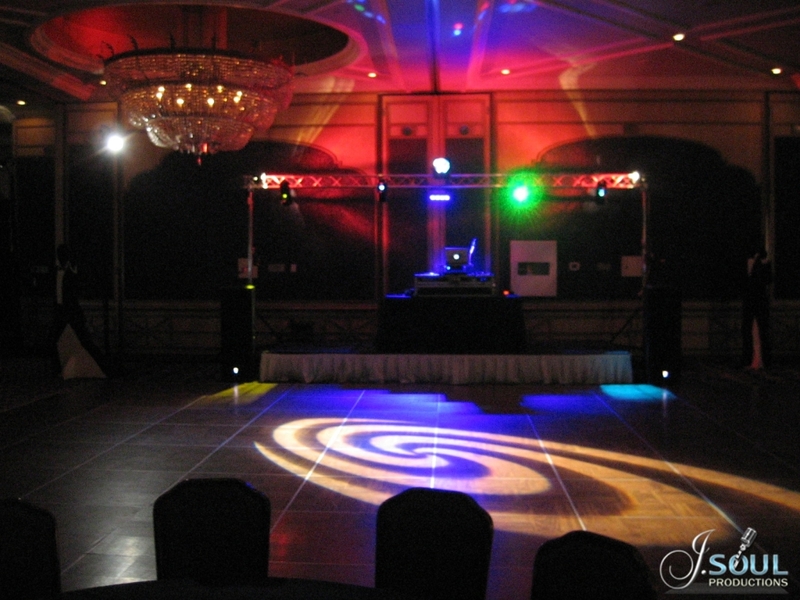 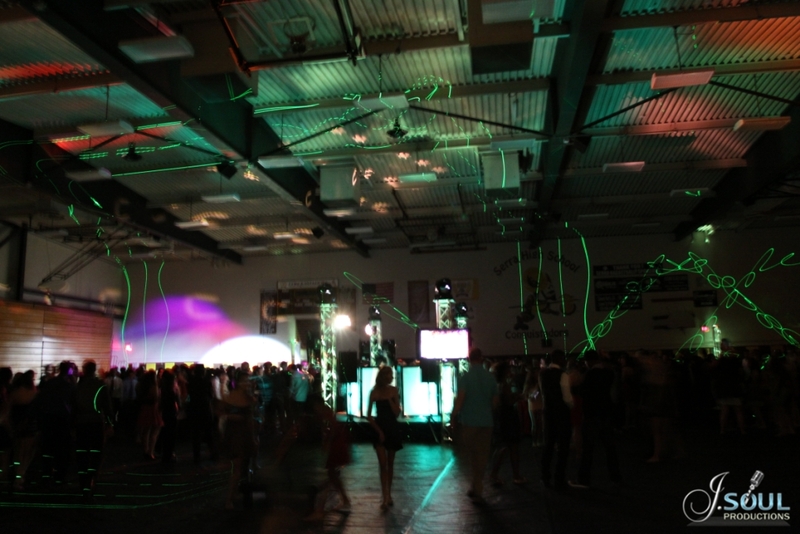 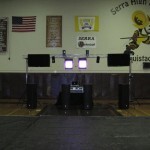 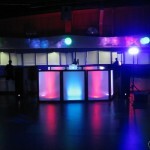 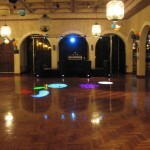 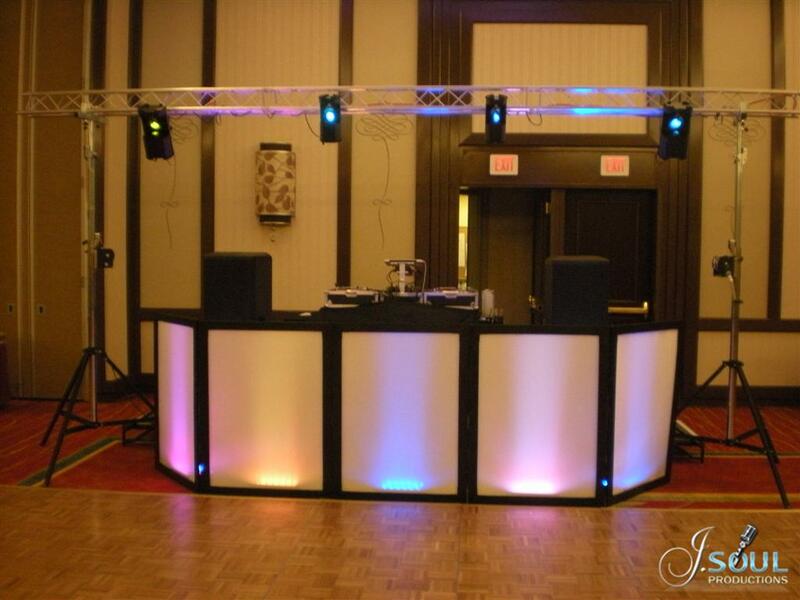 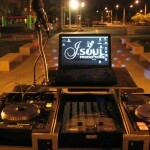 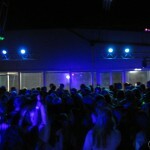 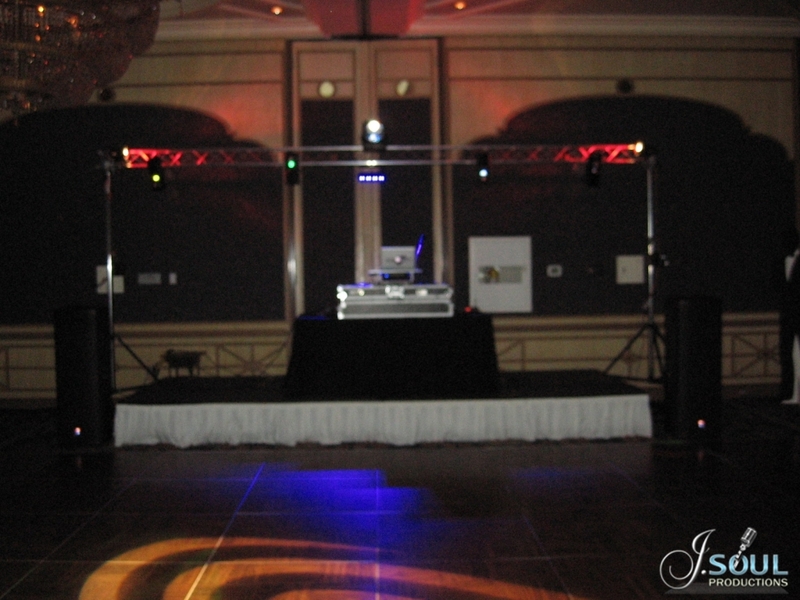 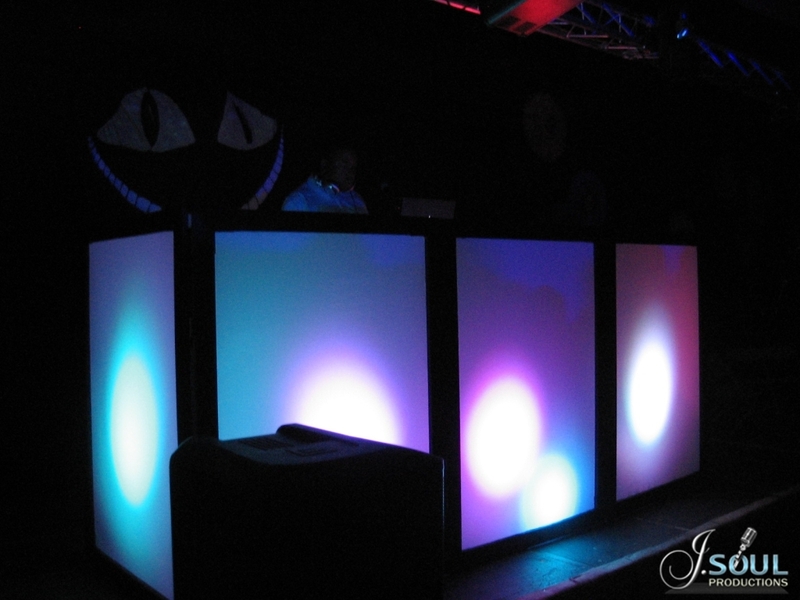 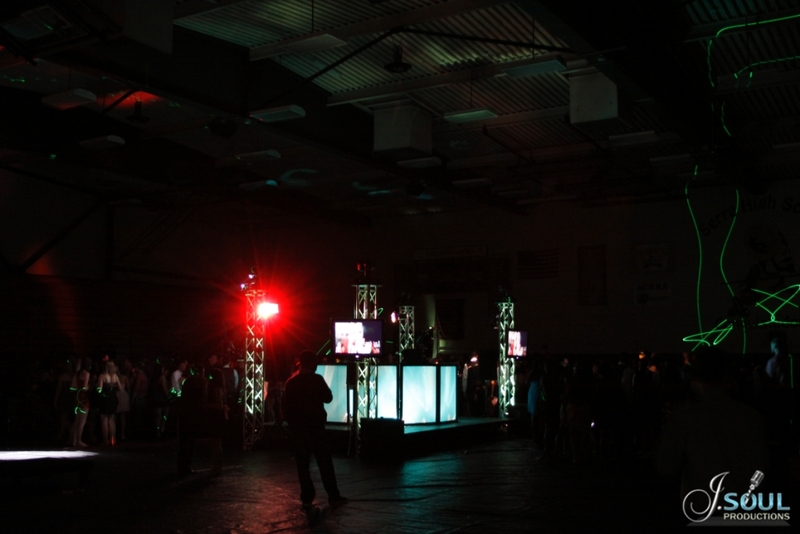 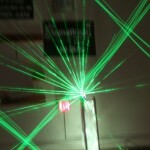 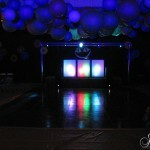 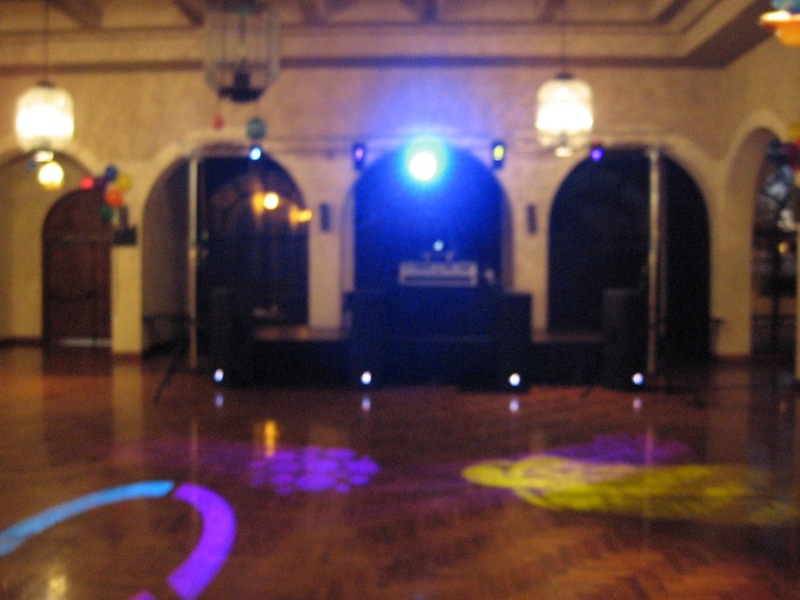 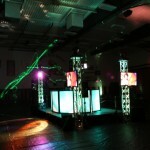 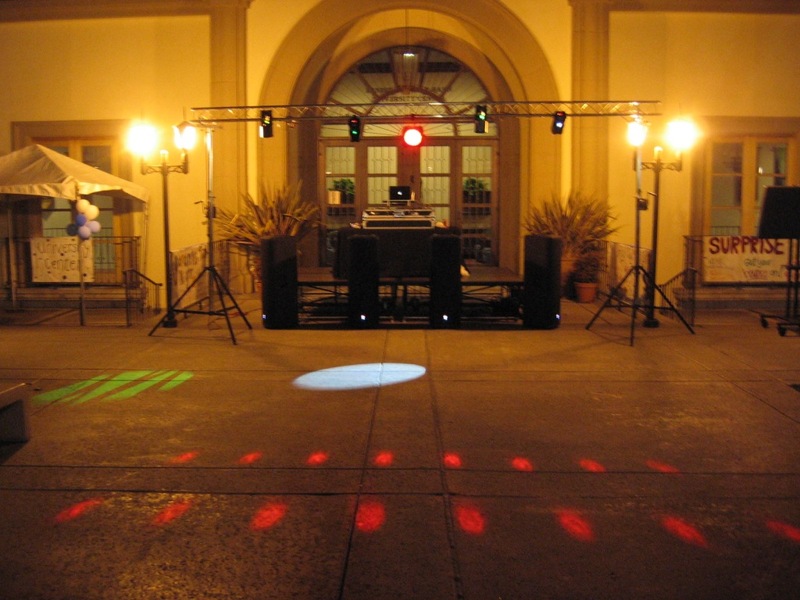 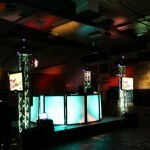 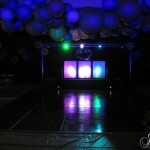 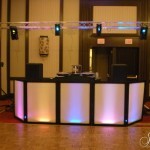 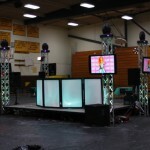 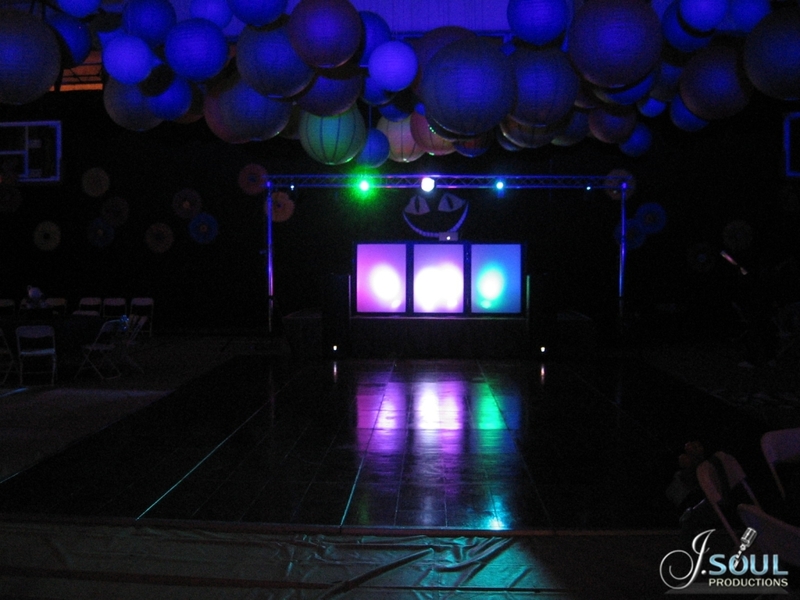 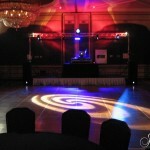 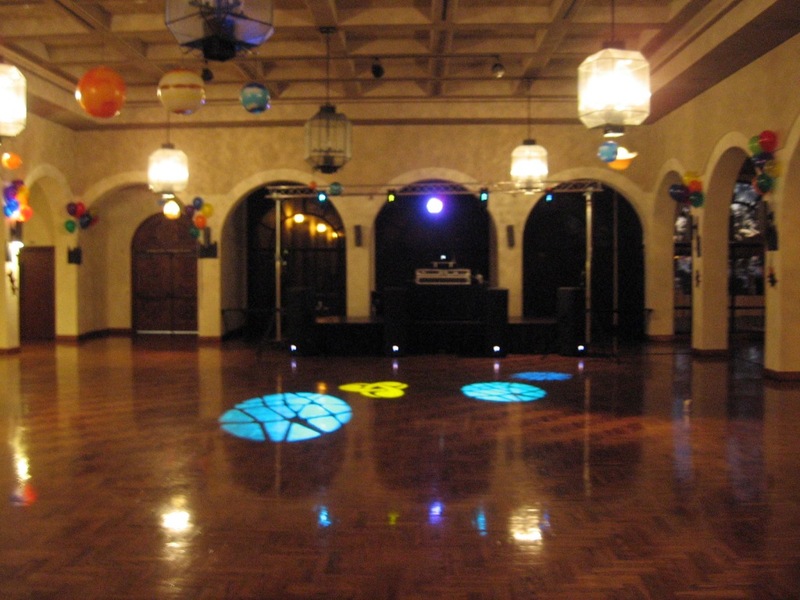 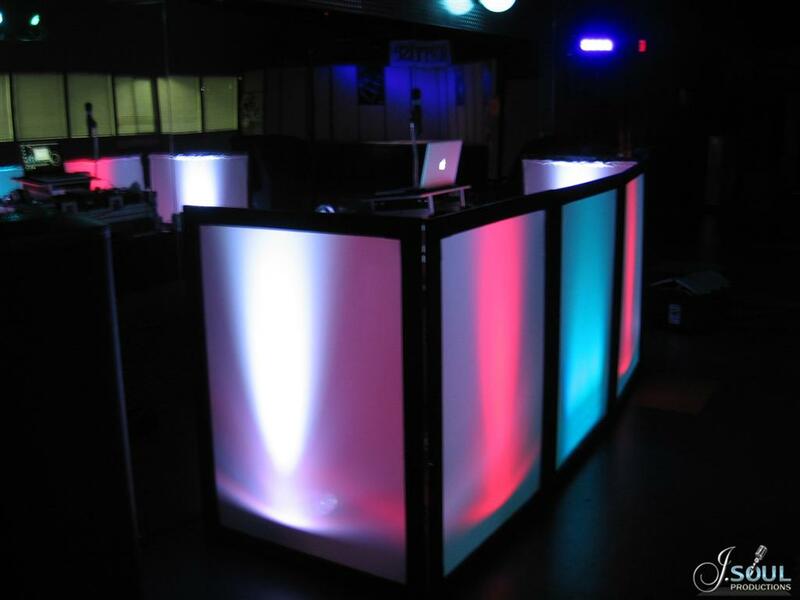 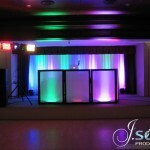 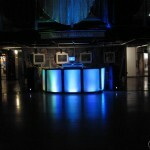 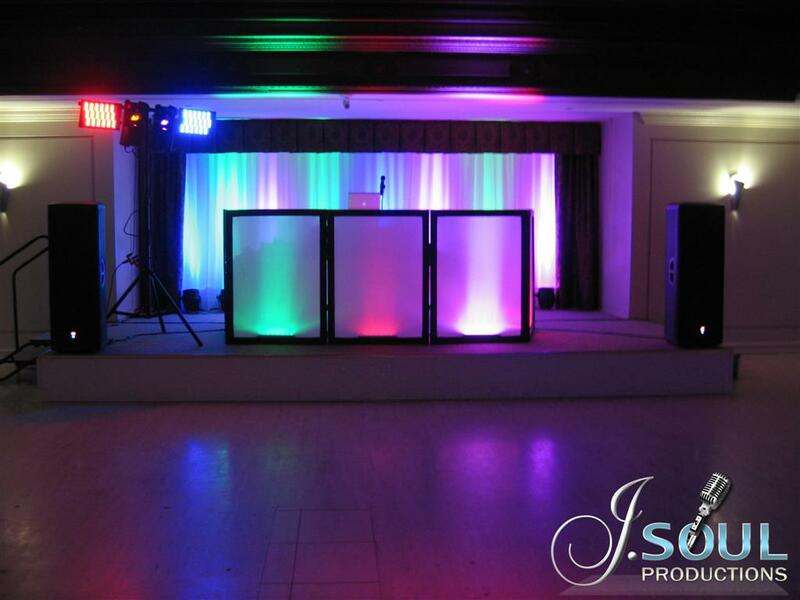 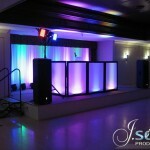 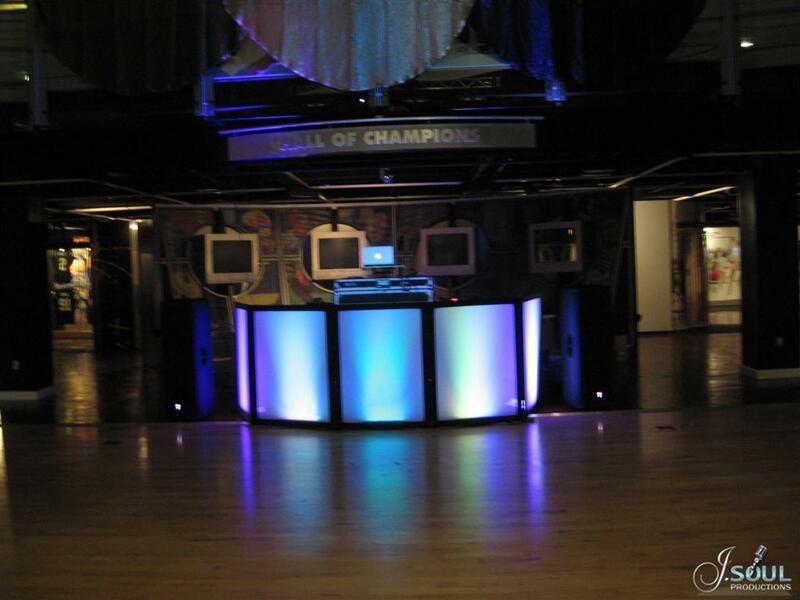 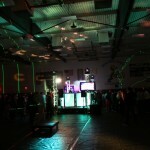 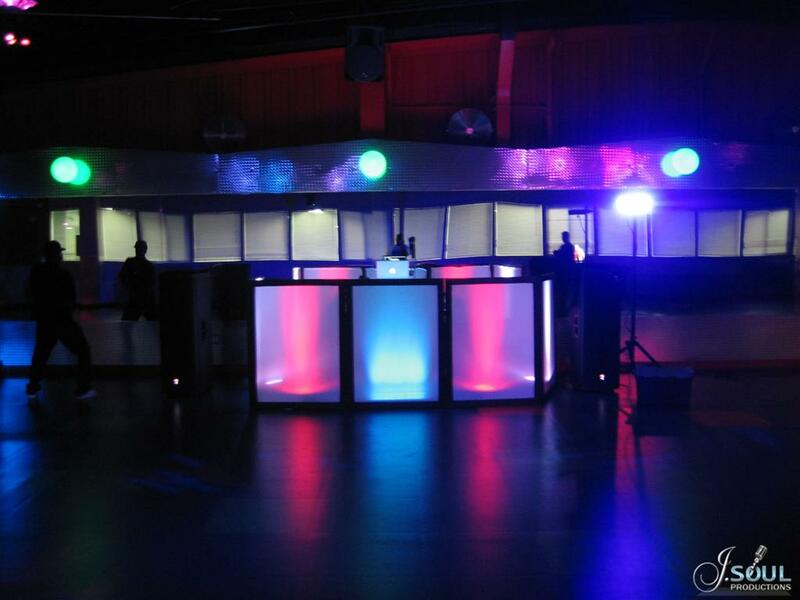 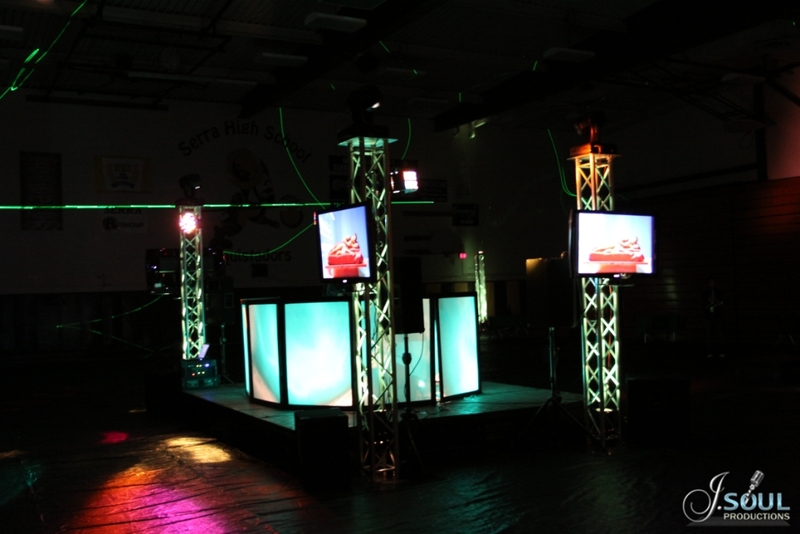 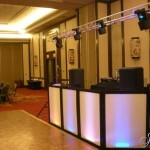 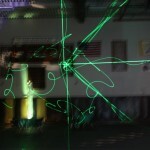 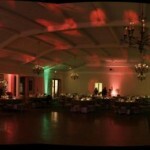 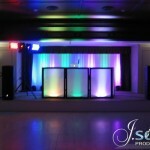 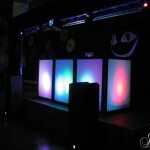 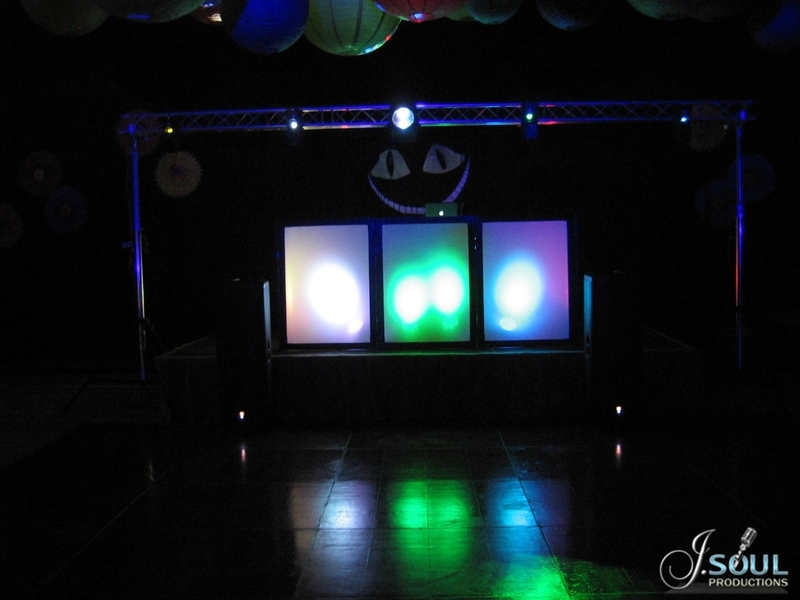 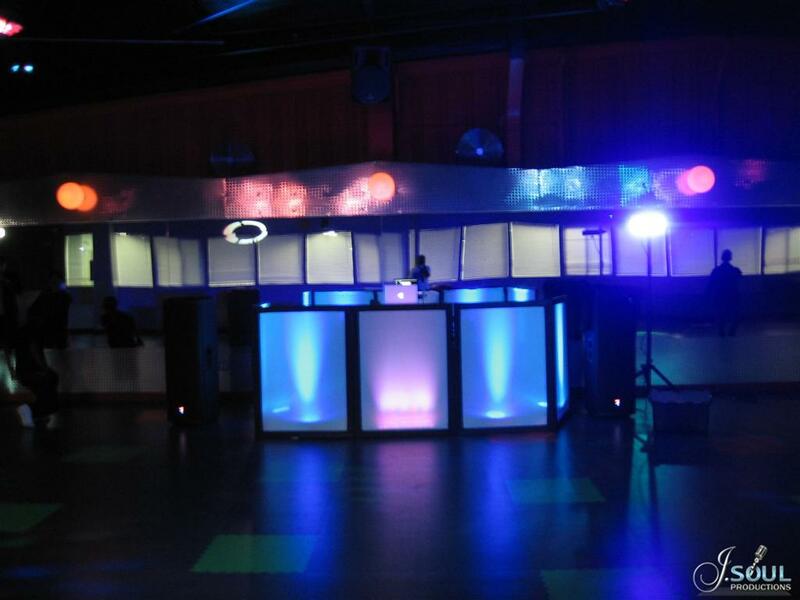 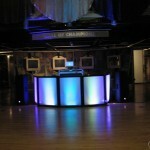 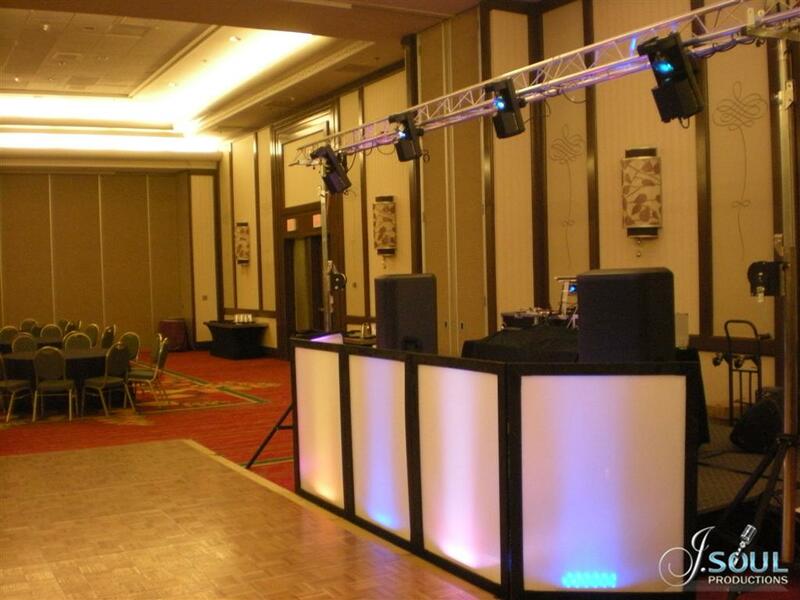 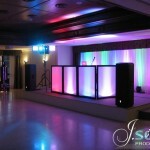 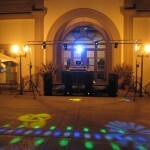 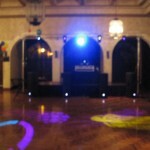 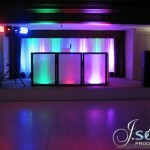 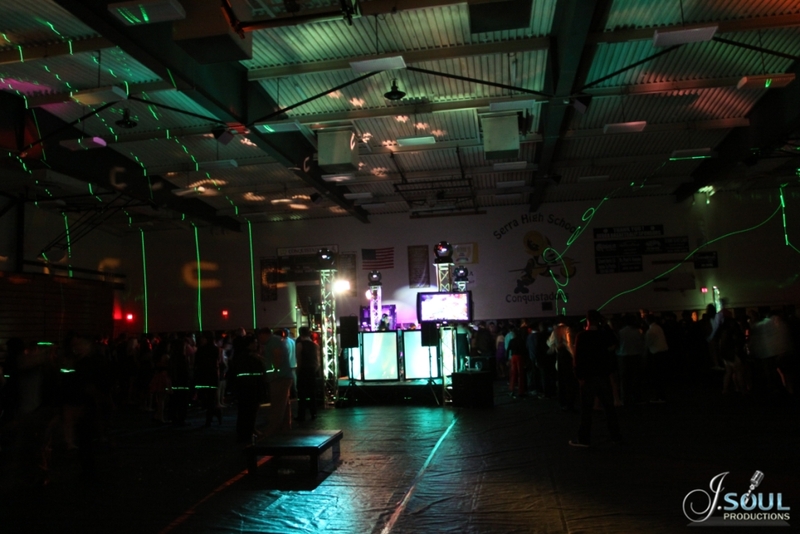 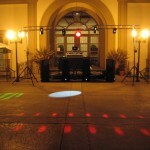 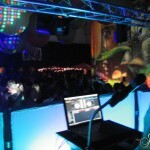 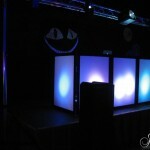 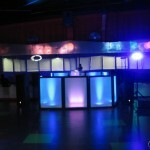 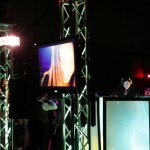 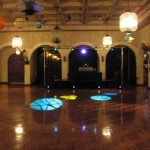 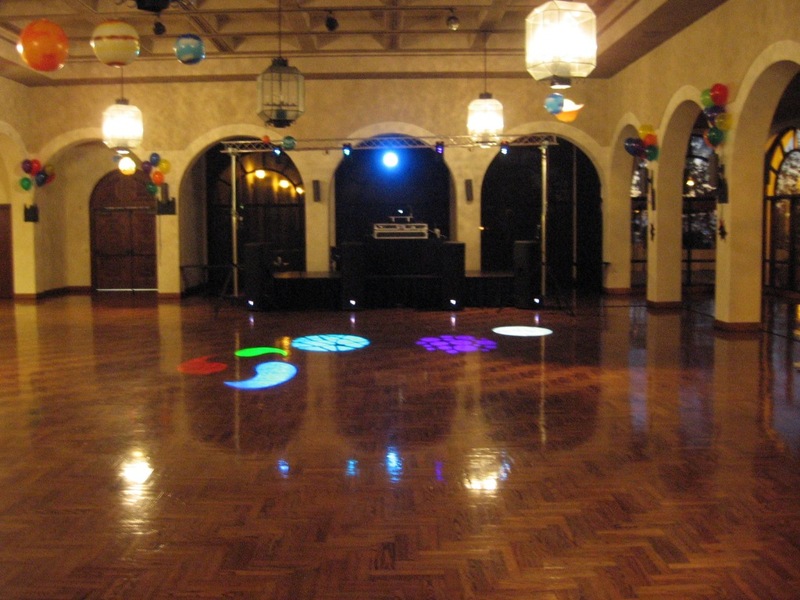 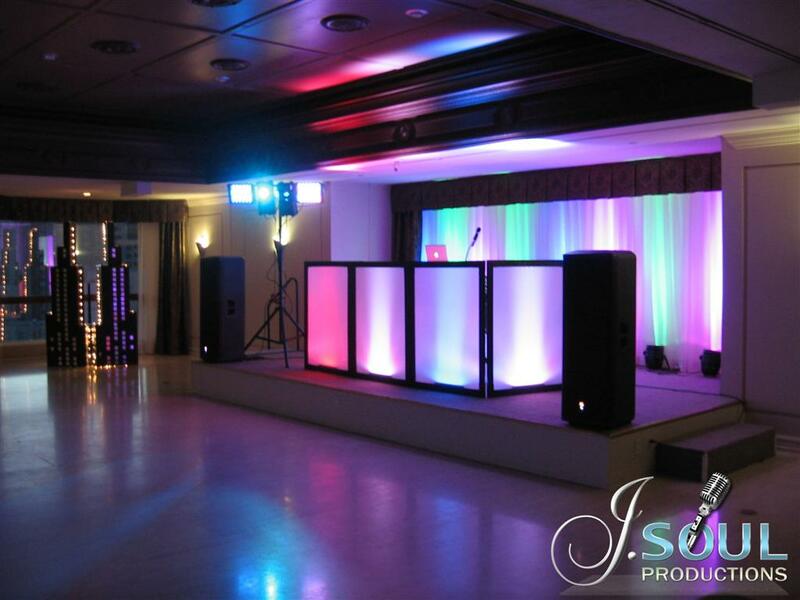 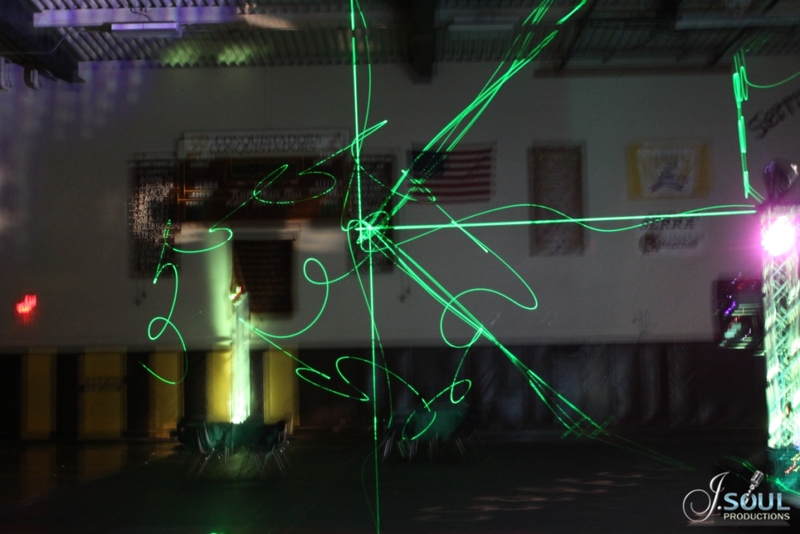 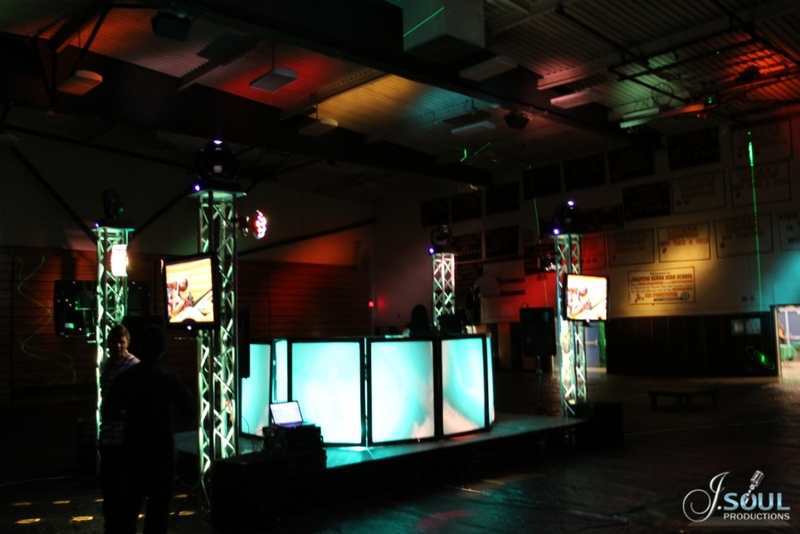 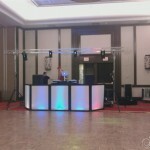 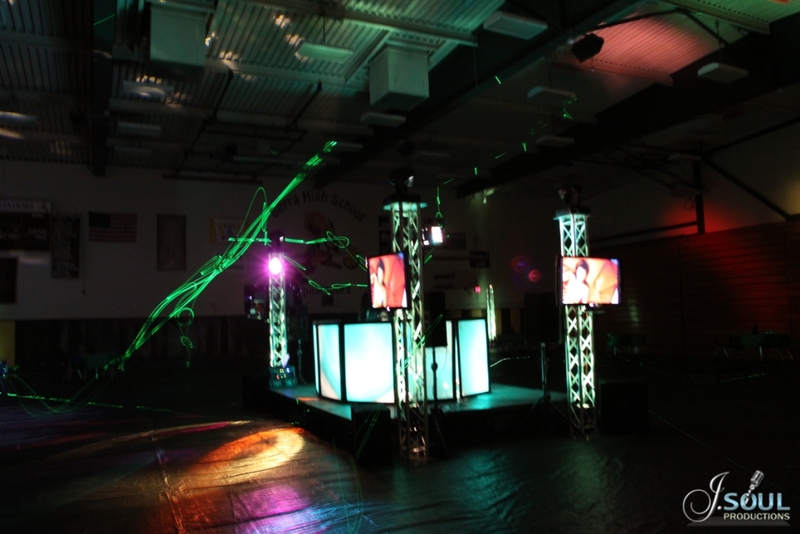 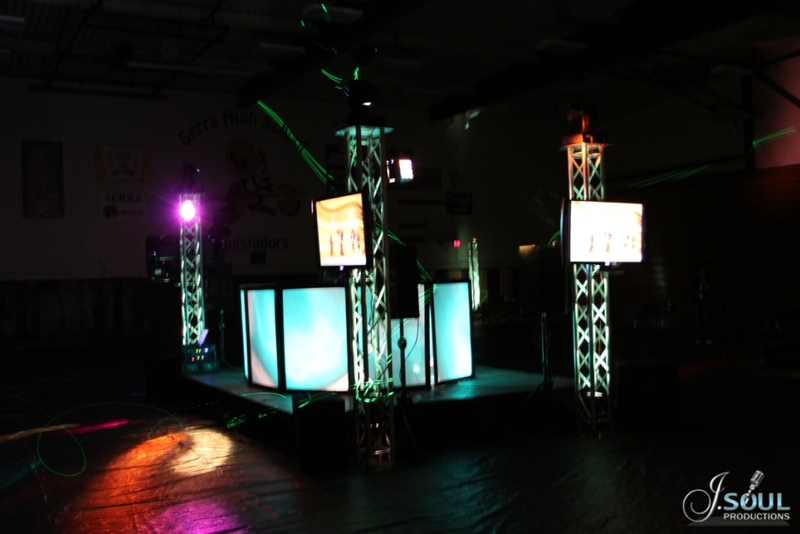 We use high-tech dance floor lighting to give your party that extra feel that it needs when the lights go down. 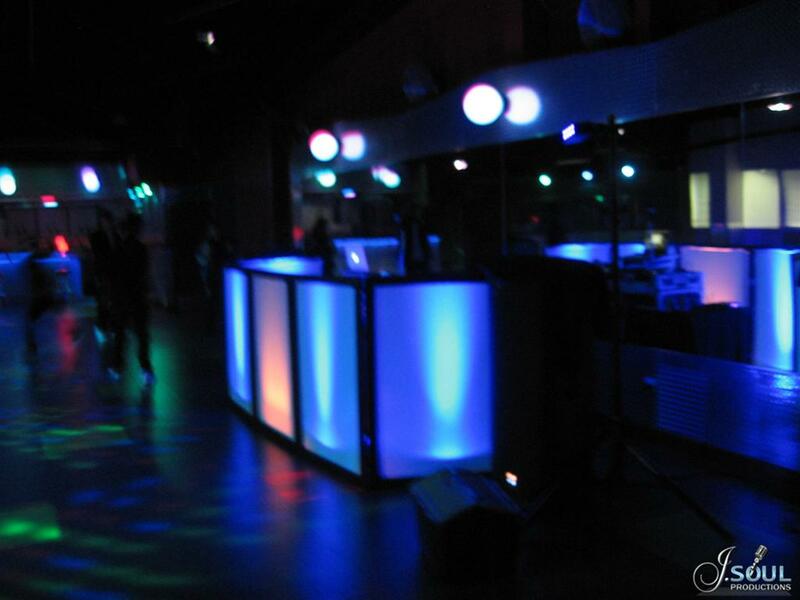 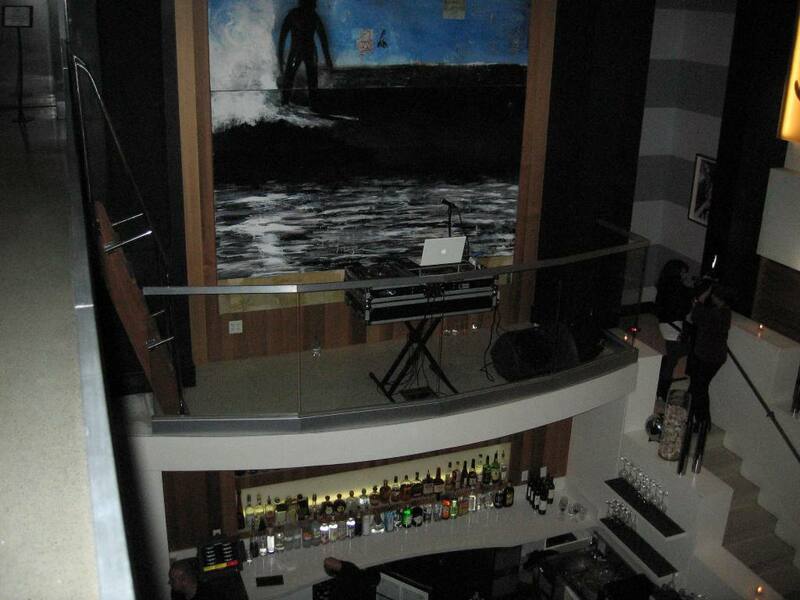 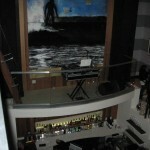 Our music draws people to the floor and the lighting keeps them there by giving a club-like feel to the evening. 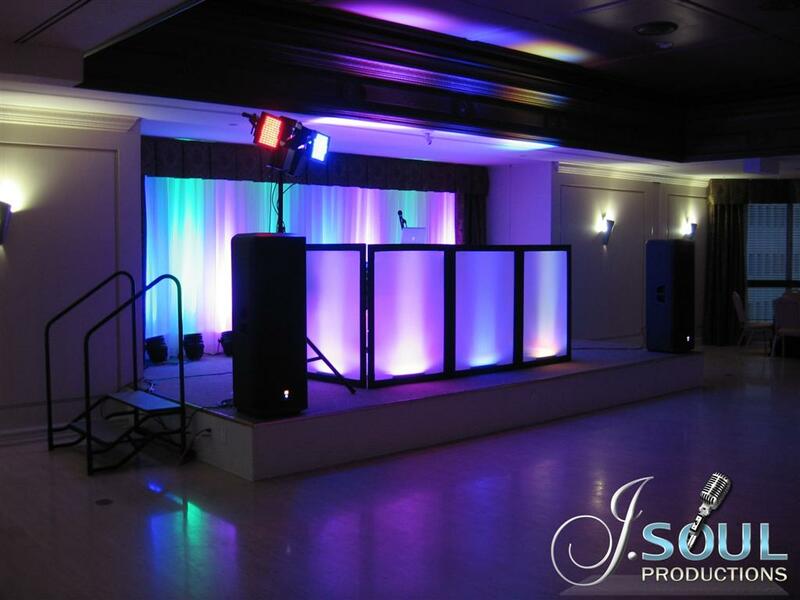 Our ambient lighting adds a special touch to events by dressing up plain, boring walls with a splash of color; adding another dimension of color to the room.